Celebrated Composer Nicholas Hooper composed the soundtrack, which elevates two primary themes which were made to reflect the new character Dolores Umbridge and Lord Voldemort's invasion of Harry's mind. Hooper incorporated Japanese Taiko drums to reflect these themes, making a deeper sound in the percussion. 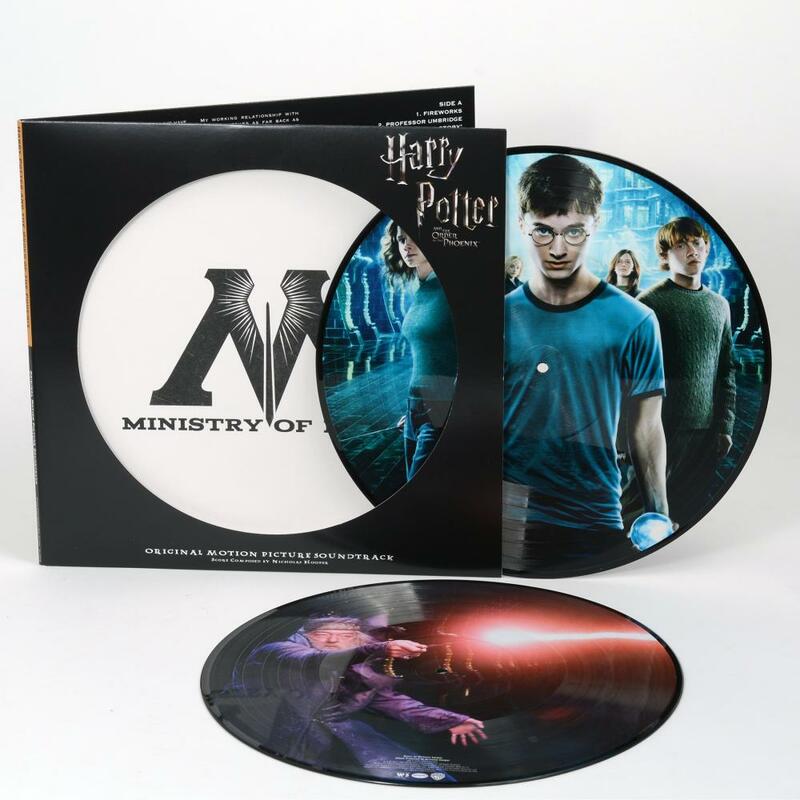 The Harry Potter and The Order of The Phoenix soundtrack is contained in a gatefold sleeve that is die-cut on both sides with the picture disk containing stills from the film.